Globaltherm® HF Heat transfer fluid is a heat transfer agent suitable for applications requiring single fluid heating and cooling including; plastics processing, moulding, casting, asphalt, paint and chemicals. 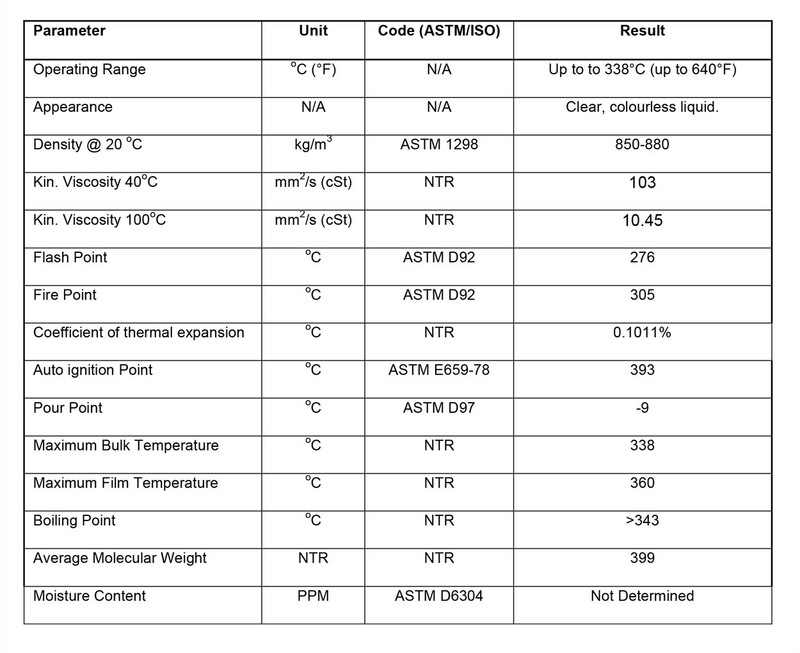 Globaltherm® HF heat transfer fluid’s flash point is one of the industry’s highest at 530°F (276˚C). Not only does this heat transfer fluid have one of the highest flash points available it also contains a resilient blend of additives to ensure trouble-free service when managed correctly. Globaltherm® HF heat transfer fluid delivers superior resistance to extreme oxidation and sludging found in many manufacturing environments, including plastics processing, molding, casting, asphalt, paint and chemicals. This heat transfer fluid is environmentally friendly, non-toxic and non-hazardous and requires no special handling. A superior high performance, energy efficient heat transfer fluid suitable for use in a variety of industrial processes.